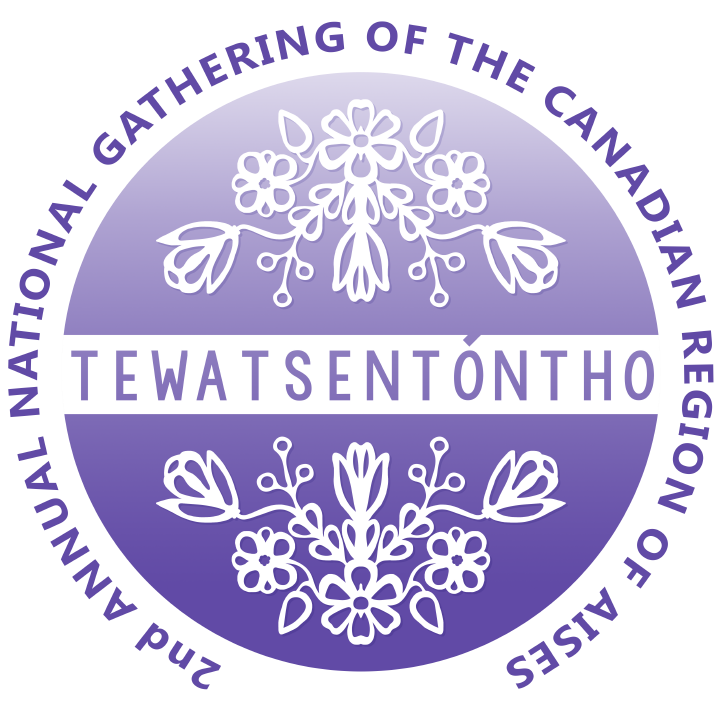 Join us March 1-3, 2019 at McGill University (Montréal, QC) to celebrate the second annual .caISES conference "TEWATSENTÓNTHO" - "We Add More Wood to the Fire". Organized under the leadership of the Canadian Indigenous Advisory Council (CIAC) of the American Indian Science and Engineering Society (AISES), this conference is intended for Indigenous STEM (Science, Technology, Engineering and Mathematics) students and professionals primarily; however, all are welcome! Come and meet professionals, academics, and students from all over Canada and beyond to hear about STEM education, share success stories, and mentor young talent. Many companies/organizations will be holding career booths to allow aspiring professionals to explore a vast range of opportunities. This event will bring AISES’ 40 years of Indigenous STEM learning and community-building experience to Canada. AISES provides networking, peer support and mentorship to Indigenous peoples in STEM at all levels of their educational and professional experience. Students are given opportunities to explore undergraduate and graduate opportunities, discover career pathways, engage with Indigenous STEM professionals, and network with scholarship-granting organizations and corporations looking to hire. STEM professionals and corporations have the opportunity to meet bright, accomplished young Indigenous peoples looking to establish a career in STEM. Keynote Speaker: Randy Herrmann, P.Eng. Randy is the Director of the Engineering Access Program (ENGAP) at the University of Manitoba. ENGAP is a support program designed to assist First Nation, Metis and Inuit students seeking an engineering degree. He graduated from the University of Manitoba in 1988 with a Bachelor of Science Degree in Geological Engineering. For ten years he worked as a geotechnical engineer and a project manager before taking on his current job. He is a member of Engineers Geoscientists Manitoba and the Manitoba Metis community. Over the years, Randy’s work with Canadian Indigenous communities and within the engineering field has shown him the lack of engineers of First Nation, Metis, and Inuit ancestry and the obstacles faced by these students to obtain a degree. His desire to help change these factors and make it easier for Indigenous students to pursue an Engineering Degree led him to become Director of ENGAP, a position he has held since 1998. McGill University's campus is located in the heart of downtown Montréal. We understand that covering accommodation costs can be burdensome; therefore, hotel accommodation will be covered for the first 100 Canadian Indigenous students to register for this event. 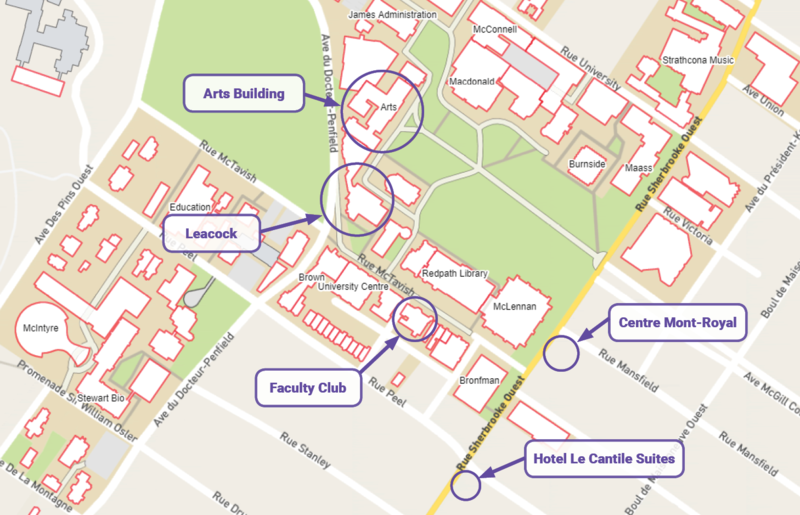 The hotel accommodation will only be offered to Indigenous student attendees from Canadian universities and institutions that live outside the Greater Montreal area. McGill University has negotiated discounted rates with many hotels in Montreal. Any guest/partner/attendee can enjoy these discounted rates. For more information, please visit our Official Hotel Program for Guests. McGill has also negotiated discount codes with WestJet for travel from February 22, 2019 until March 10, 2019. For travel within Canada, save 5% off Econo and 10% off EconoFlex and Premium fares. For trans-border travel into and out of St. Johns, Newfoundland, save 2% off Econo, 5% off EconoFlex and 10% off Premium base fares. Visit www.westjet.com/conventions to make a booking online. If you have an issue with these coupon codes, please contact caises2019.dpsll [at] mcgill.ca for assistance. For those who need financial assistance, some travel grant arrangements can be made with our team: contact us at caises2019.dpsll [at] mcgill.ca for more information. Please note that the deadline to apply for travel grants is Thursday, February 14th, 2019 at 5pm. Any submission received past that deadline will not be considered. For more information, visit our EventBrite page and fill in the form. Download an accessible version of the schedule here (PDF). There are many levels of sponsorship available for the .caISES 2019 Conference. For more information, please download our Sponsorship Package (PDF). L’Université McGill est sur un emplacement qui a longtemps servi de lieu de rencontre et d’échange entre les peuples autochtones, y compris les nations Haudenosaunee et Anishinabeg. McGill honore, reconnaît et respecte ces nations à titre d’intendant traditionnel des terres et de l’eau sur lesquelles nous nous réunissions aujourd’hui.